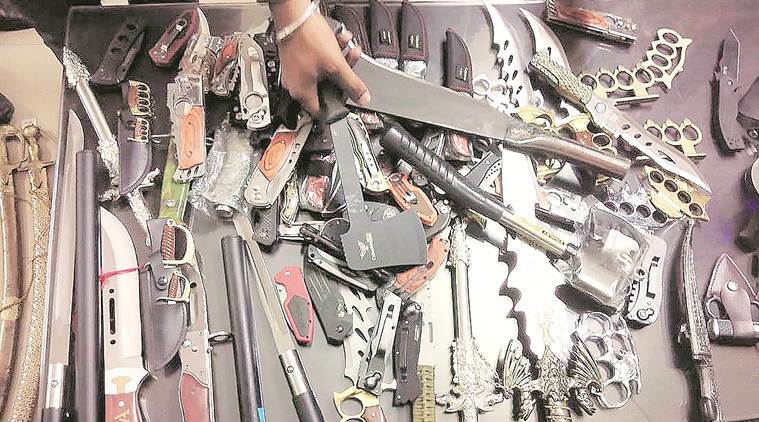 While the police seized 170 weapons from Kulkarni’s shop, political pressure on the ruling BJP had mounted after the NCP and Congress accused it of trying to spread violence before the Lok Sabha polls. Dombivalli BJP unit vice-president Dhananjay Kulkarni, who was arrested after the police found 170 weapons, including airguns, pistols, choppers, knives and swords, stashed away in his shop, was on Saturday remanded in police custody till January 22. Local state leaders, however, have denied that Kulkarni holds any post in the BJP. Kulkarni (49), who had been sent to the Aadharwadi jail a day after he was arrested on Tuesday, was handed over to the Thane Police Crime Branch Unit III. “We had appealed before the sessions court for his custody. 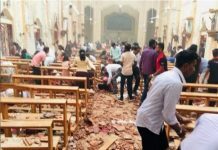 We need to interrogate him to conduct our investigation,” said Sanju John, Senior Inspector of unit III. Officers had on Tuesday raided a ground floor store owned by Kulkarni at Arihant building on Manpada Road in Dombivali and found out the stash of weapons, police said. “We had information that he possessed and was selling the weapons illegally,” John said. Senior officers said Kulkarni is to be interrogated about the source of the weapons. “We had managed to ask him a few questions during the raid. He might have sourced the weapons from Crawford market and from out of the state. We need to identify where he got the weapons from and to who he was selling. The interrogation will also lead us to understand why he was trading in weapons illegally,” said a senior officer. While the police seized 170 weapons from Kulkarni’s shop, political pressure on the ruling BJP had mounted after the NCP and Congress accused it of trying to spread violence before the Lok Sabha polls. A Congress spokesperson had demanded that all BJP workers’ households must be raided and checked.